This is one of a pair of wild Buffalo grazing alongside the road next to the Yellowstone River in Yellowstone National Park. 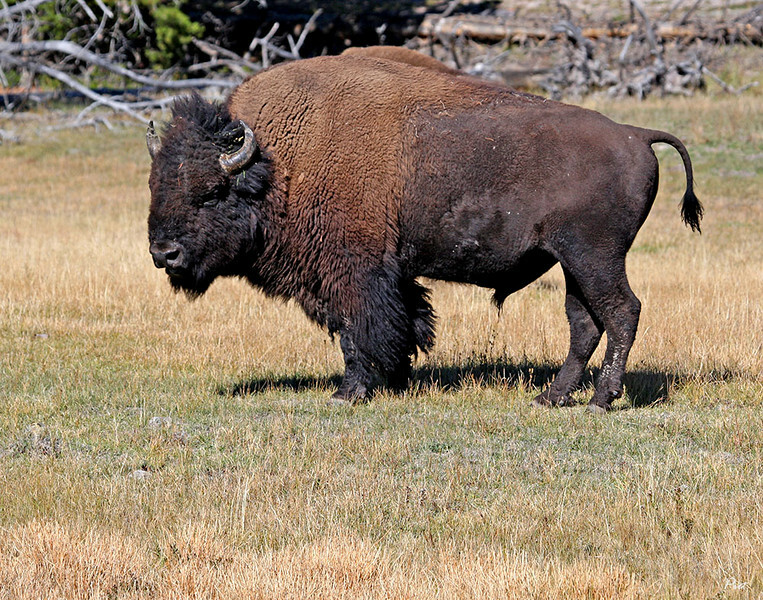 The term "Buffalo" is still widely used in America despite the best efforts of experts to point out this animal is really an "American Bison". Changing "Buffalo Bill" Cody to "Bison Bill" will never happen, I think.